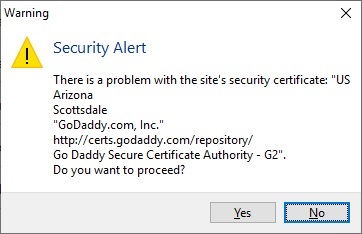 I am continually getting a certificate error popping up in the IDE. Is this a general issue or just me? It ended up being "Controlled folder access" in Defender. I have turned it off for now and will work on the exclusions later. It appears Delphi cannot write to any of the output folders. I have checked folder permissions and can write to all the folders. I have also tried running Delphi in Administrator mode and disabled all anti-virus and anti-malware with no luck.. Thank you. Contacted support and a mobile support serial number has been issued. I wish that had been mentioned in the dispatches, would have saved a lot of time. It is no longer there after I did a complete reinstall from the 10.2.3 ISO. Thanks, I will contact support. Yes, the only platforms I see are Windows 32, 64 and OS X. Thanks for the reply. I have never had starter edition, only pro. Startup says Delphi 10.2.3 Pro registered. Installed Products: Embarcadero Quality Insight ??? Inclusion of mobile support in Delphi and C++Builder Professional Edition. Where? I have installed, uninstalled and reinstalled 10.2.3, both the ISO and web installer. Still no sign of Android or IOS as platforms. What do I need to do to get the mobile stuff going? I have installed Delphi 10.2.3 Pro which apparently now includes the mobile add on pack stuff, but I cannot see how to enable any of this. The only platforms I see are Windows 32, 64 and OS X. This was installed with the web installer over 10.2 (I believe). How do I get IOS and Android platforms enabled? A unit (not a form) in a project will not show in the project manager tree. I have removed it from the project and re-added with no change (many times). I can ctrl-click a reference to it to open it from another unit, but that can be a pain. Other units show up fine. The unit is in the same folder as the others. What is the likely issue here?